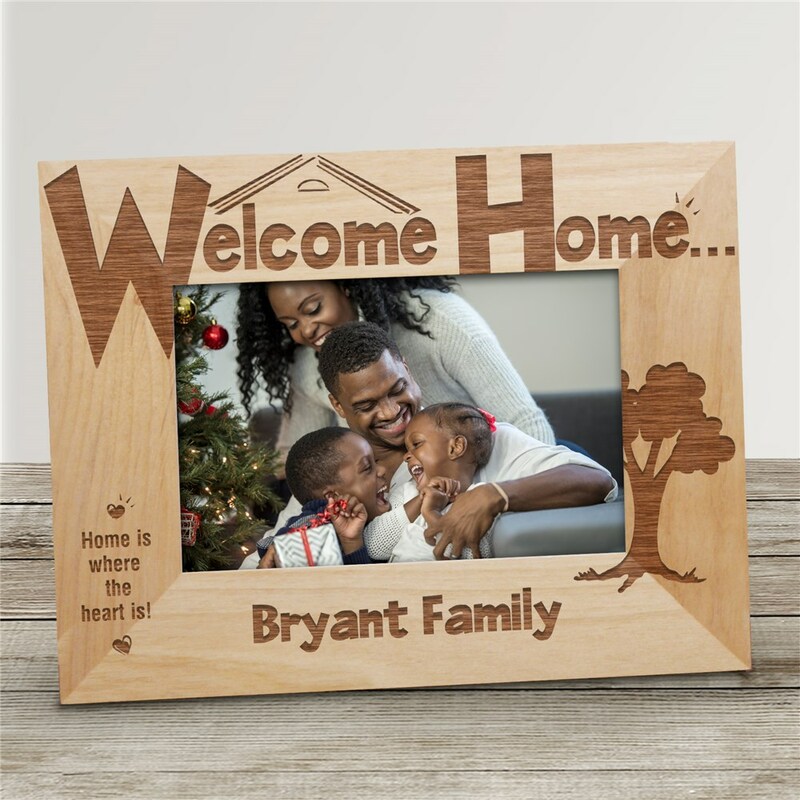 Home is where the heart is with our Welcome Home Personalized Wood Picture Frames come in three sizes, please choose from, 4"x6", 5"x7" and 8"x10". Personalized Wooden Picture Frames also includes an easel back for desk display. Your Personalized Wooden Picture Frame Includes FREE Personalization! Personalize your Wood Photo Frame Gift with any one line Custom Message. (ex. Bryant Family or Jim and Sue Reynolds) Makes a great gift for a housewarming party. Additional Details Looking for the best engraved picture frames? GiftsForYouNow.com offers personalized picture frames, graduation picture frames, baby picture frames, wedding picture frames, custom picture frames and photo frames for every occasion or gift recipient. Come to GiftsForYouNow.com for your engraved picture frame needs.